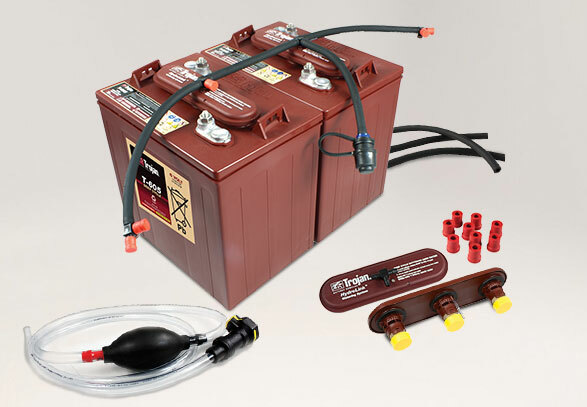 CLARK TOTALIFT battery offerings provide only the best in leading edge battery technology, quality and engineering and are warranted with a 12 month free replacement policy. 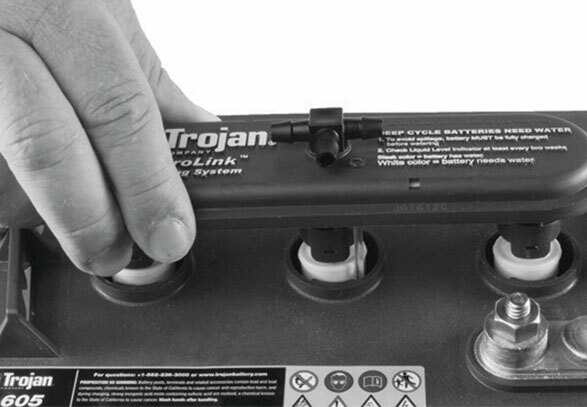 We offer a full line of 6-12 volt batteries. High dielectric and physical strength are the results of one-piece housings molded of impact-resistant polycarbonate Lexan. Contact vibration arching is kept to an absolute minimum by integral stainless-steel leaf springs which maintain constant contact pressure. Low electrical resistance and superior conductivity are the effect of heavy-duty silver plating on solid copper contacts. Arcing is virtually eliminated due to a self-cleaning contract design which keeps conductive surfaces clean and free of erosion-based deposits. Crimping is fast and sure with solid barrel contacts designed to easily accept all fine-stranded wires. Uniform contact connection is assured as the springs are held firmly to the housing with the unique spring-stop design. Because of the potential safety hazard of mismatching voltages when connecting truck batteries to chargers, battery connectors are produced in six different colors. None of these are interconnectable. This allows you to select a different color for each truck voltage in your fleet. Only connectors of the same size and color will interconnect. Pellet formula absorbs more and requires less clean-up. Safe, fasting-acting and easy to use. Neutralizes a variety of acids and acidic products. Does not create hazardous dust clouds or leave residues like caustic soda and sodium biocarb. Complies with OSHA regulation 1910.178(g). Facilities must have means to neutralize spilled acid. USDA-approved; Safe to use in a variety of settings. Eliminates disposal costs and safety concerns because it is land-fill disposable. Biodegradable, environmentally safe and non-hazardous.